67" XT Race Ramps are the �extra tall" version of our standard 56" ramps, giving you 2" of additional lift and width. They lift your car a full 10" off of the ground and can fit tires up to 12" wide. Weighing in at only 17 lbs. per ramp, they can still hold up to 1,500 lbs. each, for a total weight capacity of 6,000 lbs. Their gentle 10.8 degree incline works for most Corvettes and other low-to-the-ground sports cars. 67" XT Race Ramps are 100% solid, made with a high-density expanded polystyrene that is coated with a hybrid polyuria which creates a textured, �unscootable" surface. This patented process results in a product that is extremely lightweight, yet strong and durable. The ramps will not slide, scratch, or otherwise damage any floor type. They are so sturdy, they won't even scoot on ice! 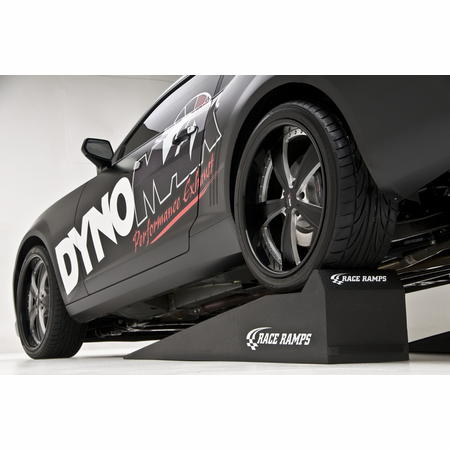 We're confident that they are the safest, most stable low-profile car ramp you can buy. 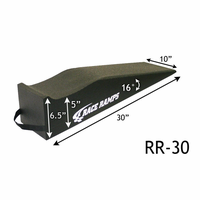 Each ramp has an attached carrying strap for easy transport and storage. They can be purchased in a one-piece or two-piece design. The two-piece set gives you even greater maneuverability under the car: once your tires are in place (and chocked! ), you can remove the incline portion of the ramp for additional side access. 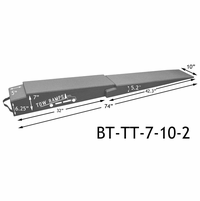 67" XT's are also available in a heavy duty �HD" design: these ramps can hold up to 2,500 lbs. each, for a total weight capacity of 10,000 lbs. These are recommended for those of you with sports cars and pickup trucks and want to use the ramps for both! 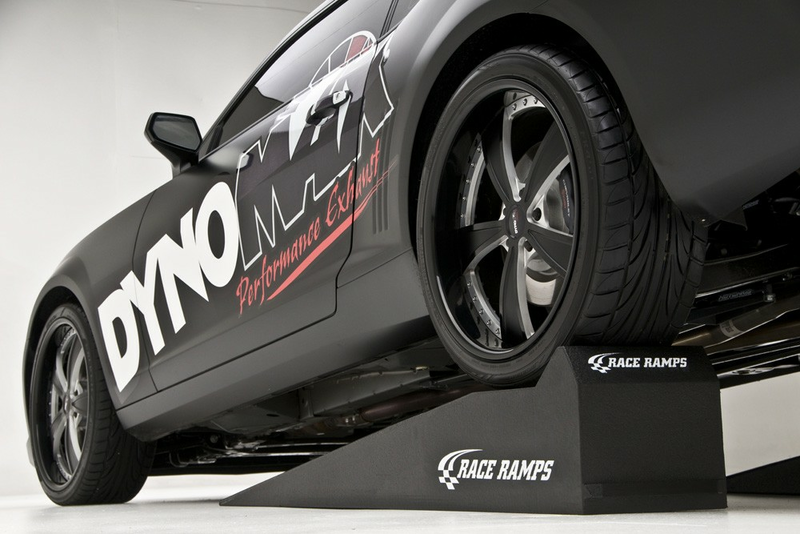 Whether you're putting your car on display for a show, giving your baby a tune up, or just changing the oil, these ramps will be instant favorites. Proudly handmade in the USA! 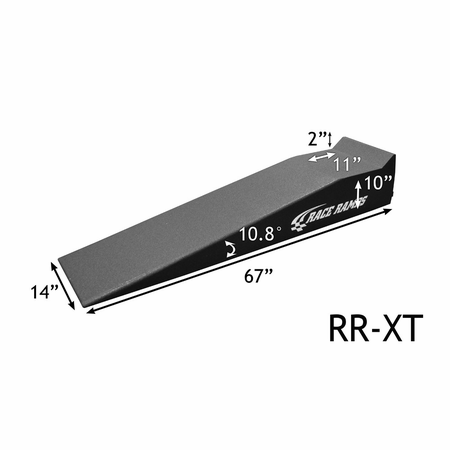 If you have an even lower car and need an even smaller angle of approach, check out our XTender accessory for the 67" XT Race Ramps, which decreases the approach angle to 6.6 degrees. 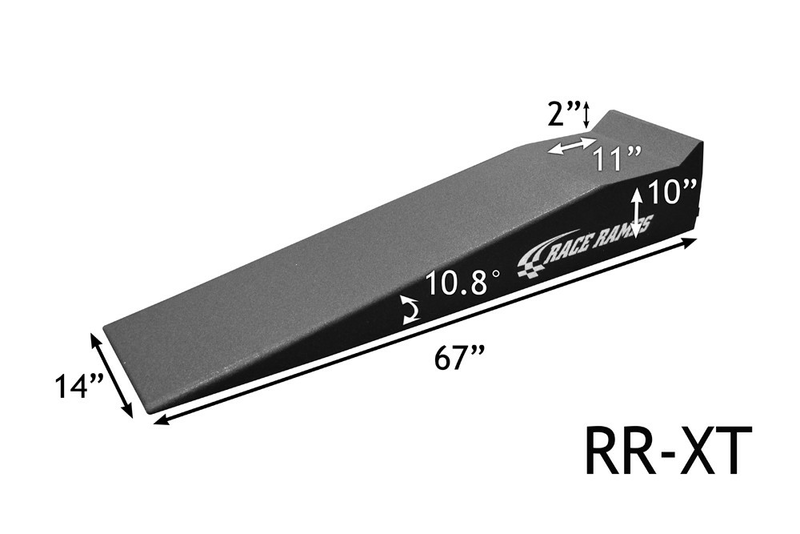 Or you may want to consider purchasing our 72" Race Ramps, which essentially have the XTender �built into" the ramps and lift the car 8" with only a 6.8 degree angle of approach.